What Delhi is dealing with has been described by doctors as a public heath crisis - a thick cloud of toxic smog 10 times the recommended limit. The crisis is now in its second week. 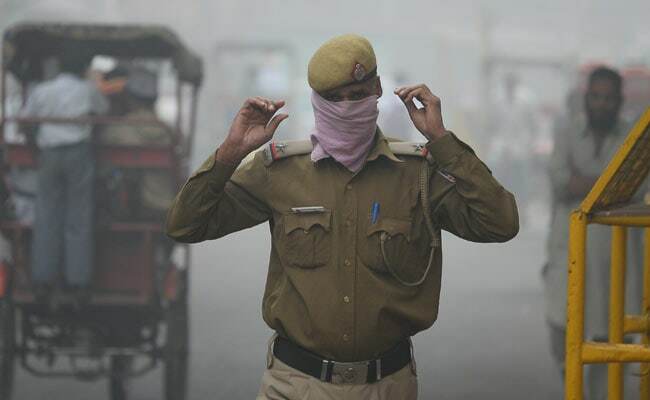 Arvind Kejriwal and ML Khattar, has yet to be drawn up for the alarming pollution rates in Delhi. As Delhi chokes on filthy air, a crucial meeting between its Chief Minister, Arvind Kejriwal, and his counterpart from Haryana, ML Khattar, was finally drawn up after a hours-long holdup today. Bafflingly, both leaders publicly say that they are willing to meet - but the other side seems unavailable. 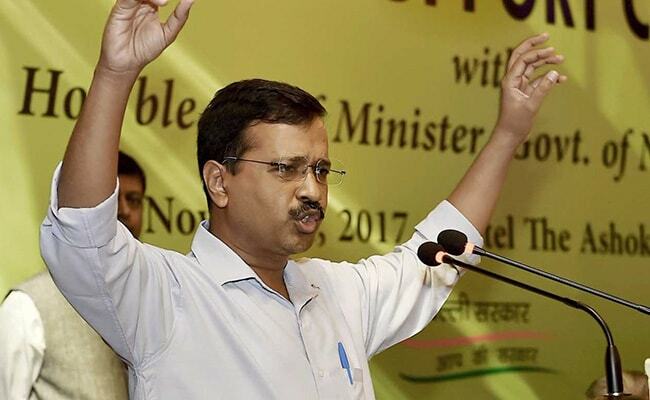 After much back and forth- all of it publicly - on who was playing hard to get, Mr Kejriwal said he will travel to Chandigarh on Wednesday to meet with Mr Khattar - who, he pointedly said, has refused to meet him while on a two-day visit to Delhi. The contributing factors include dust from construction, vehicle exhaust and illegal crop burning in the agrarian states of Punjab and Haryana which neighbour Delhi. Amid rising pollution in Delhi, several people have complained of breathing difficulties, say doctors. 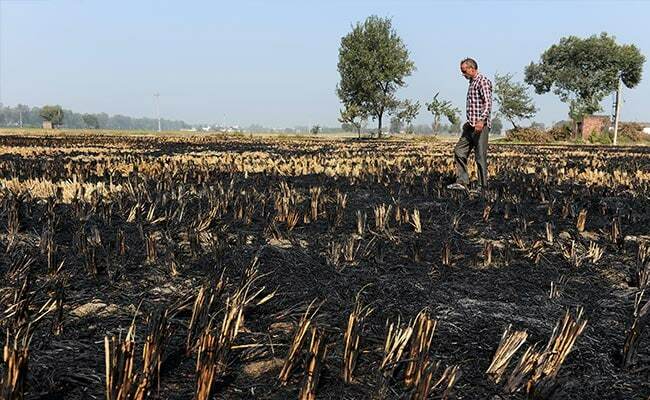 Delhi Chief Minister Kejriwal says Haryana and Punjab must help out farmers who say the cheapest way for them to clear their fields of harvest waste is to set crop stubble on fire. Punjab is governed by Captain Amarinder Singh of the Congress, who last week called Mr Kejriwal "a peculiar person"; Haryana is led by Mr Khattar of the BJP who today said that Mr Kejriwal is wrong in suggesting that he has not been available for a meeting to look at solutions. "I will be in Delhi on Monday and Tuesday. There is no response from your office on meeting," Mr Khattar said in his reply to Mr Kejriwal today in a letter. He also asked, "There are 40,000 farmers in Delhi. What are you doing about them?" Attaching an ndtv.com story on Mr Khattar's response, the Delhi Chief Minister tweeted, "Sir, my office is constantly trying to fix meeting." Finally, a meeting was fixed for Wednesday in Chandigarh as Mr Khattar was too busy to see him in Delhi, Mr Kejriwal tweeted. Every winter as farmers burn crop stubble, the smoke travels towards Delhi and mixes with other pollutants to cover the capital with a deadly grey smog. Schools reopened today after being shut down last week to prevent children from exposure to poisonous airborne particles, known as PM2.5. This count reached 495 this morning, compared with the upper limit of "good" quality air at 50. Amarinder Singh has asked the centre for financial aid for farmers to compensate for stubble management. "We have taken all possible steps in Haryana. We have also requested people burning stubble to not do so," Mr Khattar said, alleging that Punjab is the bigger culprit. He said that while the neighbouring state had not used "a penny out of 98 crores allotted to check farm fires, Haryana used 39 crores out of 45 crores allotted" to it for the purpose. Mr Kejriwal "has his own viewpoints on everything without understanding the situation," Punjab Chief Minister Amarinder Singh had said last week after Mr Kejriwal suggested that the Punjab and Haryana governments rise above politics and help solve Delhi's air quality emergency. He said he had requested Prime Minister Narendra Modi to convene a meeting of Chief Ministers of affected states along with union ministers since the Centre's role was crucial in finding a solution in an interstate matter. The Met department says rain over the next three days could help clear the smog. Mr Kejriwal's government, meanwhile, is waiting for court clearance to implement "the odd-even scheme" that imposes traffic restrictions by allowing cars with license plates ending in even numbers on the road on one day, and odd numbers the next.